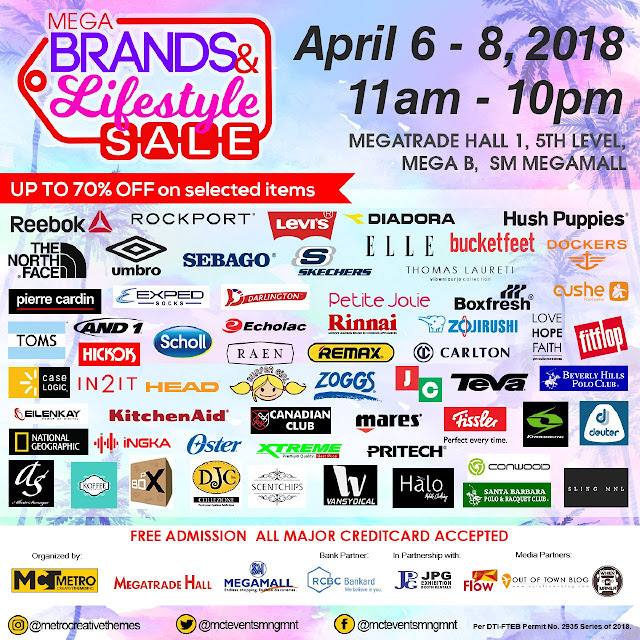 Check out the Mega Brands & Lifestyle SALE happening on April 6-8, 2018 from 11am to 10pm at the Megatrade Hall, SM Megamall. Enjoy up to 70% off on mega brands like Nike, Reebok, Fitflop, The North Face, Hush Puppies, Levi's, Toms, Deuter, Oster, and many more! Further, markdown items are also up for grabs ranging from accessories, men’s and ladies fashion, housewares, personal care products, and many more! 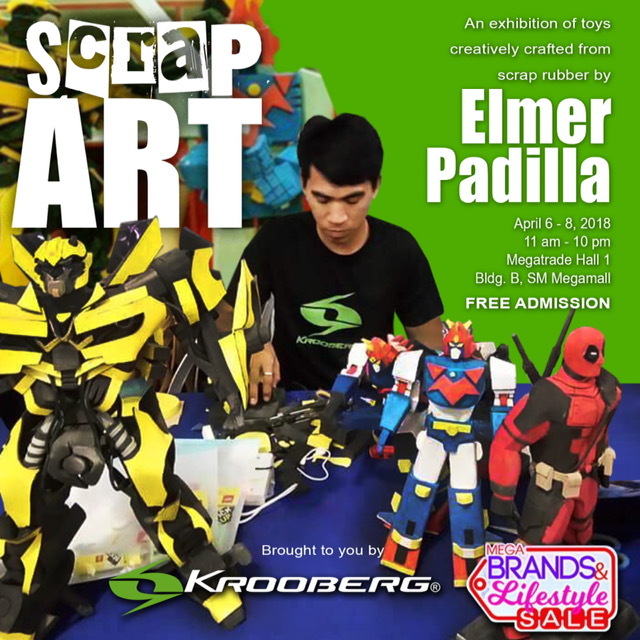 Also one of the events highlights is Mr. Elmer Padilla’s Pinoy-Made “stinelas” action figures made of scrap and old slippers. Mr. Padilla’s shot to fame was when his creations were featured by Avenger Film Actors Chris Hemsworth (Thor) and Mark Ruffalo (Hulk). 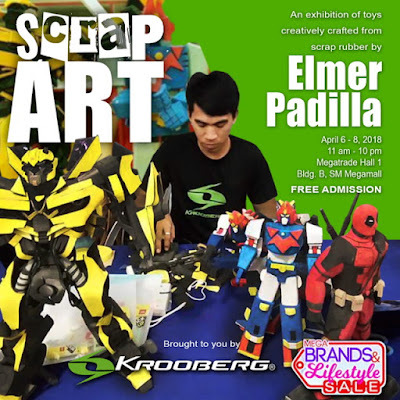 He, together with Krooberg, will showcase his creations and make them available to the public during the sale activity. For inquiries, please contact Jonathan Roxas or Emer dela Cruz through 0917-5365473 or 0917-5387507. You can also email through mctevents@gmail.com or mct.emer@gmail.com.